Graeme Swann is a former England cricketer. Primarily an off-spinner, he was also a proficient late-order batsman with four first-class centuries, and often fielded at slip. Graeme made his debut for his home county, Northamptonshire in 1997. After 8 years, he moved to Nottinghamshire. He made his debut for England in 2000. He didn’t play again until 2007, becoming an essential part of the team in all formats. In 2011 he was a member of the England Team that claimed the number one world Test ranking spot. Graeme Swann was involved in four Ashes tours, winning at home in 2009 and 2011, and in Australia in 2010-11. During the 2013-14 series, Graeme announced his retirement due to injury. Since retiring, Swanny has become a steadfast member of the award winning Test Match Special (TMS). He has also completed sell out theatre tours of the UK with his show The Great British Spin Off featuring Henry Blofeld. He is currently taking part in the BBC’s Strictly Comer Dancing 2018. Married with three young children, if Swanny isn’t talking about cricket or dancing, he’ll be following his beloved Newcastle United or singing in his band, Dr Comfort and the Lurid Revelations! 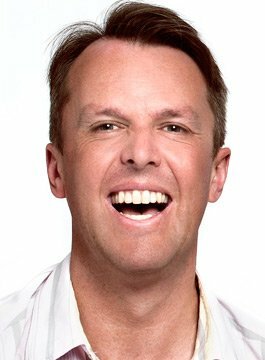 One of cricket’s most entertaining characters, Graeme Swann is available after-dinner speaking, Q&A sessions and Awards Hosting.